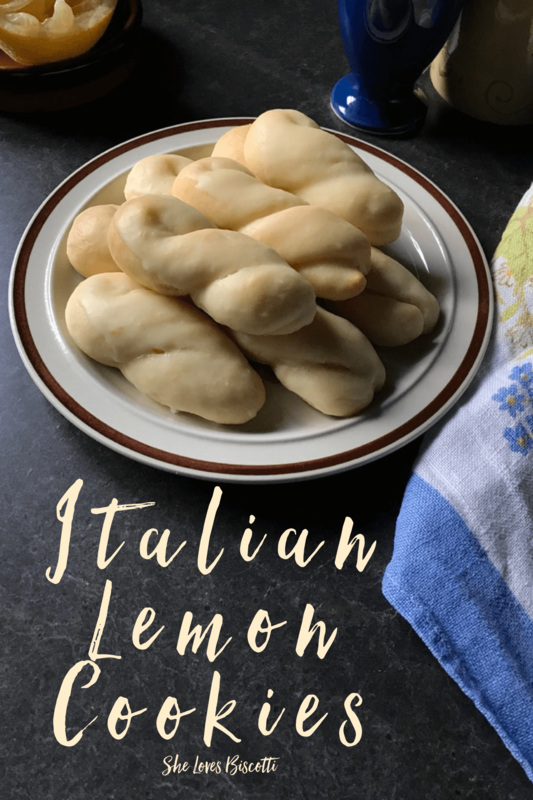 Today, I am sharing yet Another Simple Italian Lemon Cookie Recipe with all of you. The texture is soft and cake-like and the glaze provides the perfect burst of lemon flavor. Yes, I know. 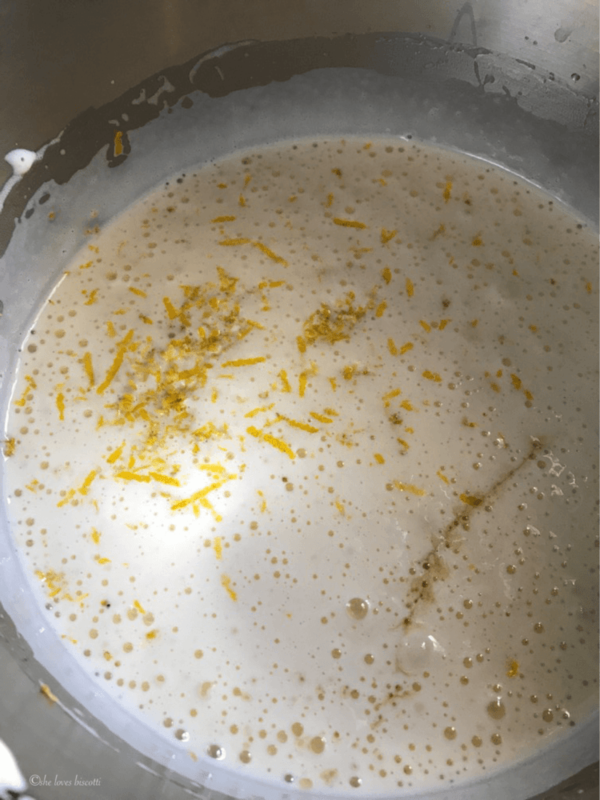 You are probably wondering -and rightly so- why another lemon cookie recipe. To be honest, lemon cookies are one of my favorites (besides biscotti, of course 😉 ) My guess is that I am probably not alone. Have you ever noticed how lemon cookies are always one of the first cookies to disappear from any cookie platter? Do you know anyone that can resist a lemon cookie? Today, I am sharing another lemon cookie recipe because I think you are going to find they taste exceptional. As an added bonus, you will love how easy they are to make… are you ready to begin? It all starts with sifting flour, baking powder and salt in a medium mixing bowl. We will set it aside for a couple of minutes. 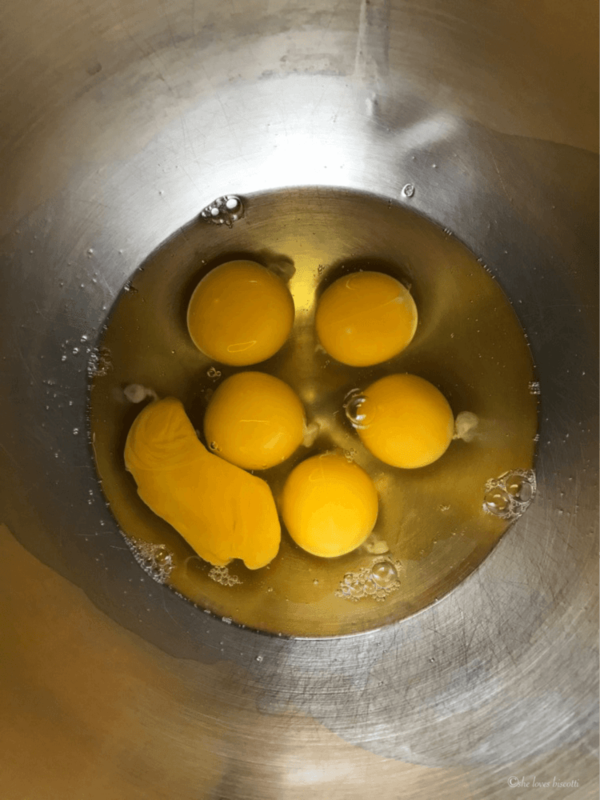 In a large mixing bowl or the bowl of an electric mixer fitted with the whisk attachment, whisk the eggs until slightly thickened (about 3-4 minutes). Slowly add the sugar and continue to whisk until well combined. Add the oil, vanilla extract, juice and zest of lemon. Combine well. At this point we are going to switch to the paddle attachment and slowly add the flour mixture until well combined. Cover the dough with plastic wrap and allow to rest at room temperature for about 30 minutes. Preheat the oven to 350℉; position rack to middle; line a large baking sheet with parchment paper and get ready to roll! 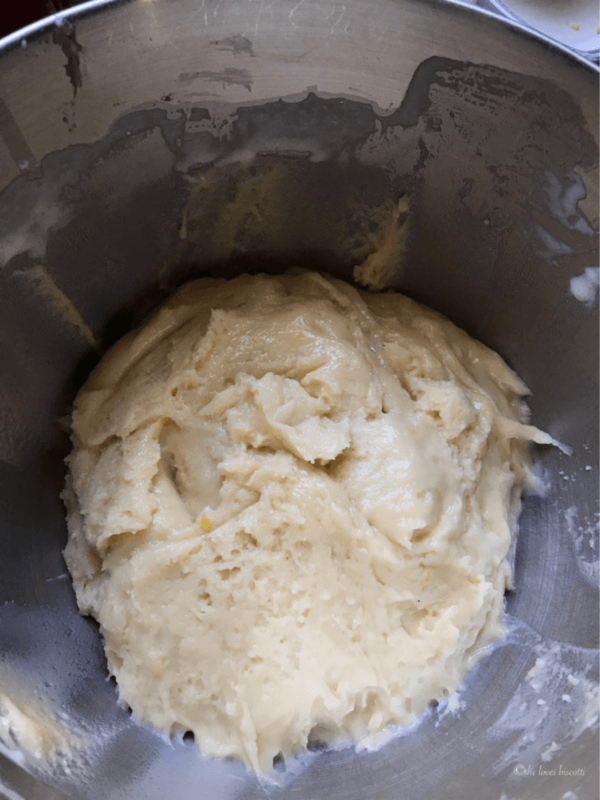 Scoop dough with medium sized cookie scoop and drop on a lightly floured surface. Roll into a 6 inch strand about 1/2 inch in diameter. Line up the two ends and twist once or twice (refer to photo above). Place on parchment-lined baking sheet and repeat until all the dough has been shaped. Bake for 18-20 minutes or until bottoms are lightly browned. Once the cookies have cooled down, they can be glazed and ready to be enjoyed. This simple lemon cookie can also be frozen without the glaze. This is a great cookie to have on had when friends or family 😉 come over unexpectedly… just thaw, glaze and serve. My mom (along with my Zia Maria) made the best homemade Italian cookies. 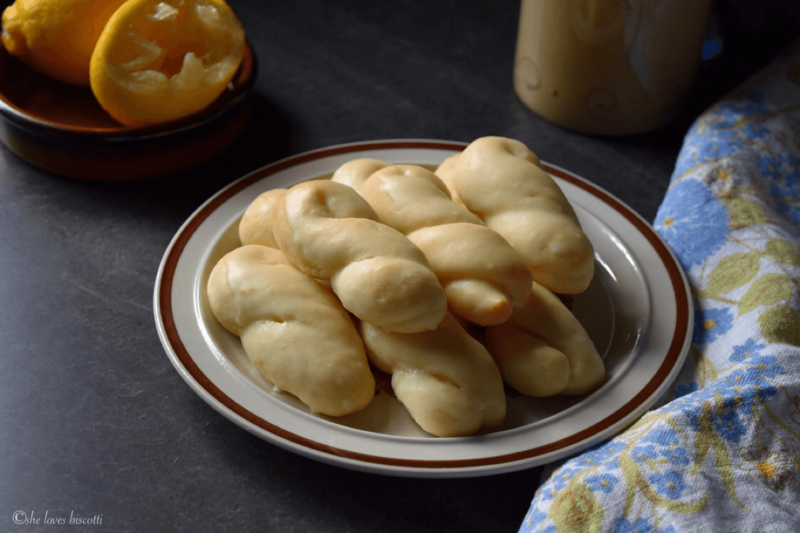 Another Simple Italian Lemon Cookie Recipe is the result of a recipe shared among two sisters. Today, my goal was to document this recipe. 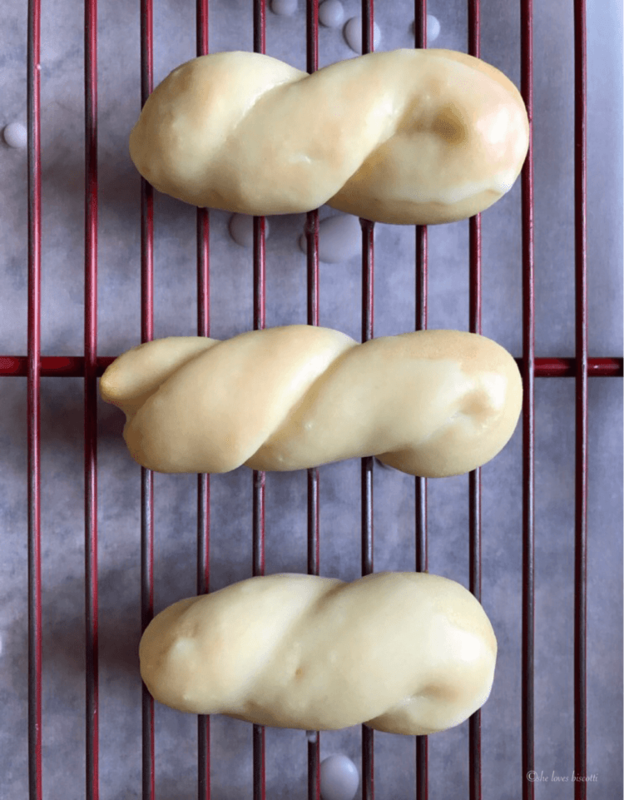 If you love lemon cookies, this recipe for Italian Lemon Knot Cookies is another family favorite. Can a girl have enough lemon cookie recipes? Apparently not! ★★★★★ If you have made this Lemon Cookie recipe, I would love to hear about it in the comments below and be sure to rate the recipe! Another Simple Italian Lemon Cookie Recipe provides you with a soft and cake-like cookie with the perfect burst of lemon flavor. Add sugar. Continue to whisk until well combined. Add the oil, vanilla extract, juice and zest of lemon. Combine well. Slowly add the flour mixture until well combined. Cover the dough with plastic wrap and allow to rest for about 30 minutes. Line up the two ends and twist once or twice (refer to visual in the text). Repeat until all the dough has been shaped. Whisk together icing sugar and lemon juice. Glaze cookies and allow to dry before serving. Unglazed cookies can be kept frozen for up to 3 months. 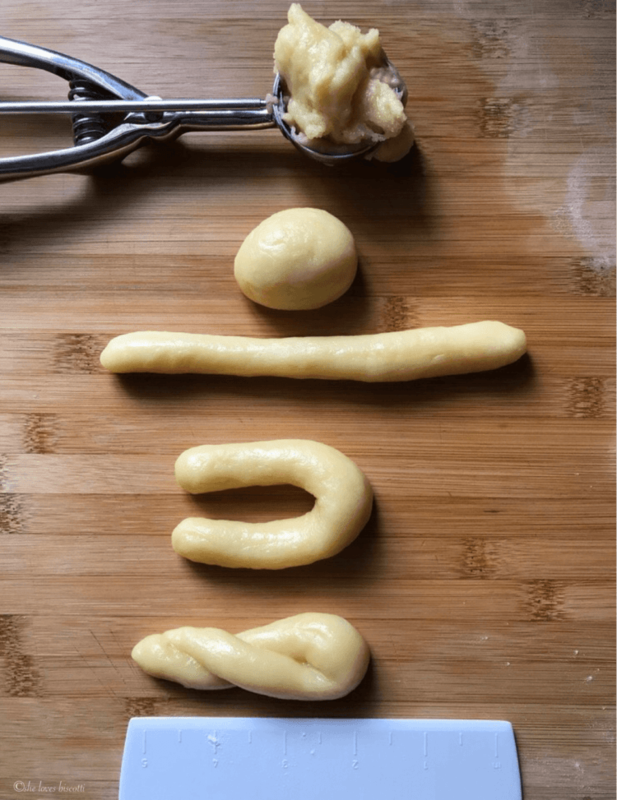 IF YOU ENJOYED THIS LEMON COOKIE RECIPE, SAVE IT FOR LATER. 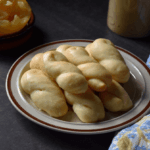 PIN IT TO YOUR ITALIAN COOKIES BOARD! Merci pour cette incroyable recette!!! Toutes mes collègues et amies sans exception ont trouvé les biscuits délicieux!!!!! I made a cookie like this with my aunt in Italy a few years ago.. We formed them like elongated eggs, placed them on large cookie sheets and carried them to the village bakery to be baked for a small fee. Wonderful crisp cookie! Love visiting family in small ancient villages there. 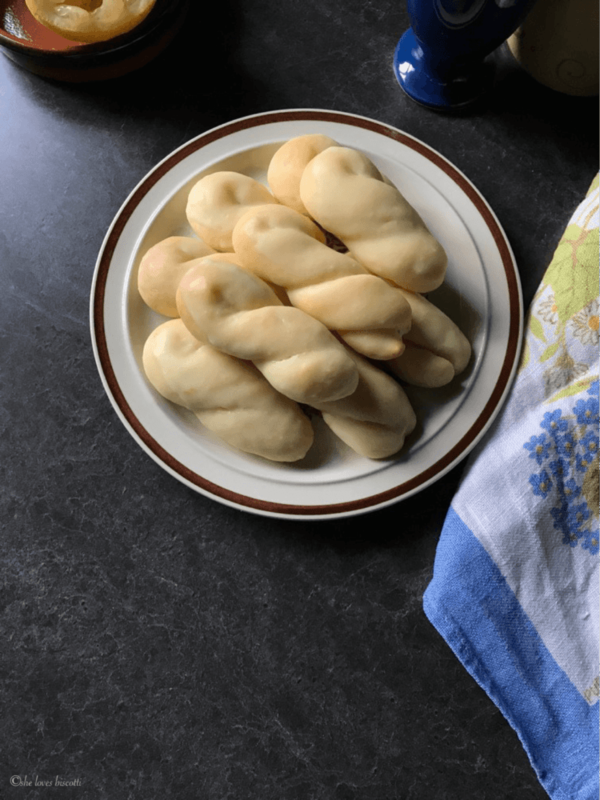 Thanks for sharing your recipes and memories. My mother made these same cookies subbing a half package of lemon cake mix with the flour. Delicious results every time. Yes, they really come together very quickly… unfortunately, they are also quick to disappear 😉 Thanks for stopping by! Thanks so much Christy! Enjoy 🙂 Thanks for stopping by. This is my type of cookie, so similar to what we called Anginettes. Simple straightforward and satisfying….. I remember my grandmother making these. Definitely going to save this recipe.